6) de Witt ou de Wit – Amsterdam – Les armes de Brese-Winiary: Parti au 1 d’or à trois croix potencées de gueules au 2 d’or au chevron d’azur acc en pointe d’un croissant du même au chef de gueules ch de deux étoiles d’argent. 17) de Witte – Zélande – Voir von Weissenberg: D’azur au vol d’argent Cimier un buste de jeune homme habillé d’azur les bras remplacés par deux ailes d’argent. 27) de Witte – de Leverghem – Flandre – (An., 16 août 1686; barons, 22 nov. 1823. M. ét. le 6 juillet 1834) – D’or à une chouette au naturel posée sur trois socles superposés de gueules le premier moins large que le deuxième et celui-ci moins large que le troisième au chef de sable ch du mot IVSTITIA en lettres d’or Casque couronné Cimier la chouette sur les socles entre deux proboscides coupées alternativement d’or et de sable Lambrequin d’or et de sable. 28) de Wittenheim – Esthonie – (Nob. du St-Empire, 29 mai 1795) – D’argent à une étoile (8) de gueules Cimier l’étoile. This popular surname is a surname of Dutch or Flemish origins, deriving from the German and/or Anglo-Saxon word hwita, meaning white. Many European nations have last names named after the color white: White (England, Ireland, Scotland), Weiss (Germany), and others. It is thought such names developed as nicknames for people who had a fair/pale complexion or fair/blonde hair. 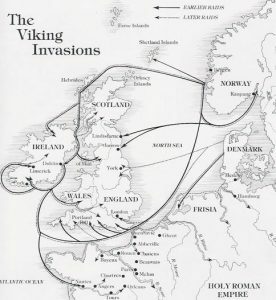 Alternatively, it may have been a name (perhaps derogatory in nature) for the Norse/Viking Danish people who invaded northern Europe in medieval times. A third origin story of theory is that it developed as a baptismal name given to a person who was pure. The name has a variety of spelling variations and forms, including: Witt, Witte, Dewitte, Dewett, Dewit, Dewitt, Dewhitt, and Dewitty. Evidence suggests the family was originally from France, where their name was often spelled deWitte or DeWhitt. The DeWitts were an old French patrician (upper Bourgeoisie) and regented (political leaders of the Dutch Republic) family. 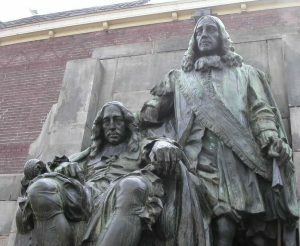 The DeWitts of Dordrecht, Holland were said to be Calvinist, often known as Huguenots. These DeWitts are said to have fled from France to Holland. One source asserts the name was first established in the city of Dordrecht in present day South Holland. The progenitor of the family was Jan de Witte, who lived around 1295 AD. 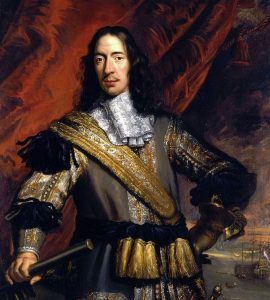 The family was known for its opposition to the royalists associated with the House of Orange-Nassau. Another source claims the de Witte family originated in the city of Antwerp, Belgium, and were likely members of the Hanseatic League. One of its first known members was Adriaan de Witte (1464-1549). One branch of this family established itself in the city of Amsterdam. A member of this pedigree was Peiter DeWitt (born 1520) who was a captain in the Civil Guard and a prominent merchant. The name made its way into England from mainland Europe during and after the Norman Invasion of 1066 AD. The Dewitt family established itself in Cheshire, where they held seat (land and titles) as Lords of the Manor of Bredbury. The American branch of this family was founded of this name by Tjerck Claessen DeWItt, who came from Holland in around 1653. He married Barbara Andriessen. It is interesting to note that two members of this family, Colonel Cornelius DeWitt and Colonel Reverend Thomas Dewitt, both served on General George Washington’s staff during the American Revolution. This common last name is often associated with a figure from European history, a Catholic named Jan De Witt (1625-1672) and his brother Cornelius. 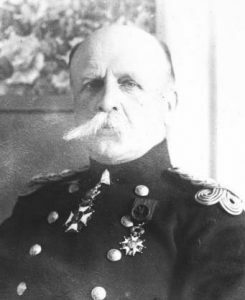 He was the Grand Pensionary (Prime Minister) of the Dutch Republic. He was the rival of the protestant William of Orange, the Prince of Orange, Stadholder of Holland, Zeeland, Gelderland, Utrecht, Overijssel who later became King of England, Ireland, and Scotland. This rivalry ended when Jan was butchered and eaten by a rioting mob! 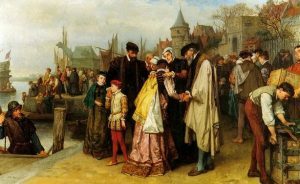 Some early bearers include Jan de Witte who lived in 1295 AD, Richard Dewit who was documented in the city of London in 1564, and Guilbert de Witt (who married Katharine Chaplain in London in 1686). As of the 2000 Census, the Dewitt last name ranked 1,268th in the United States. It ranks highest in the following four states: Michigan, Indiana, Wyoming, and Kansas. The name is somewhat less common in Canada, coming in at about 5,470th in popularity. One of the first Dewitts in America was Tierck Claaase DeWitt who came to New Netherlands (a colony of the Dutch Republic that later became the British New York) sometime around 1640 AD. Other early colonial American immigrants bearing this surname include Jacob Dewitt (Virginia 1637), Pieter Janse Dewitt (New York 1652), John DeWitt (New Jerset 1738), and Henry DeWitt (New York 1775). In Australia, a one John De Witt came to the city of Adelaide in 1849 aboard the John Woodall. Here is one genealogy or pedigree of the family: Jan deWitt was born in 1600 in the Netherlands. 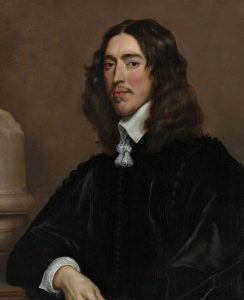 His son Pieter Janszen de Witt wasborn in 1633 in Leiden, South Holland. He went to colonial America. He married Dorethe Volckers and had the following children with her: Volkert, Pieter, Pieter Pieters, Marytje, and Catrina de Witt. The son Pieter Pieters DeWitt was born in Leiden and 1650 and went to New York with his father. He married Sarah Albertse and had a son with her named Barent. Barent de Witt (also known as Van Cohn) was born in Holland in 1665. He married Saran Van Tassel and had the following issue with her: Paulus, Petrus, Catharina, Barent, and Sara. His son Paulus was born in Phillipsburg, Westchester, New York, Sleepy Hollow. He married Catherinus Johnson and had two sons with her: Paulus and Isaac. His son Isaac was born in Sussex County, New Jersey in 1741. He married Jerusha Price and had the following issue with her: Ann, Catherine, Isaac, John, Mary, and Elizabeth. 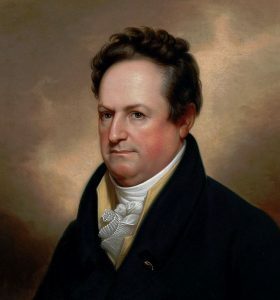 Some notable members of this family include: 1) Dewitt Clinton (1769-1828) who was a United States Senator from New York, Mayor of New York City, and later a governor for that state, who was the son of Mary Dewitt, who descended from the Dutch patrician Dewitt family, 2) Baron Leon Alphonse Ernest Brundo de Witte de Haelen (1857-1933) who was a Belgian General in World War I, 3) Jan de Witte (1475-1540) who was a Flemish priest that became the first Bishop of Cuba (1518-1525), 4) Gaspar de Witte (1624-1681) who was a Flemish painter of landscapes, and 5) Edwin Emil Witte (1887-1960) who was an economist considered to be “the father of Social Security”. I have identified two Dewitt family mottoes: Tute vide (See yourself) and De par Dieu patrie d’abord (For God’s homeland first). Three of the more prominent/common symbols depicted within the various Dewitt family crests are the dove, trefoil, and pair of wings. Birds of great variety occur throughout heraldry, at least in name. In truth, despite the proliferation of species, the actual depictions can sometimes be hard to distinguish! The dove is an example of this, closely related birds such as pigeon and stock dove are frequently mentioned in arms but visually almost identical. The dove itself is said to represent “loving constancy and peace”, the other birds possibly some play on words with the family name (PIDGEON for example). Natural objects abound in heraldry, and one category that gives especial delight are the many flowers and flowering plants that frequently occur. The trefoil may originally been a representation of a specific plant (perhaps shamrock) but it has been used as a symbol almost since the beginning of heraldry and over time has adopted a stylised aspect. Guillim believes that it signifies “perpetuity…the just man shall never wither”. Wings are frequently observed in coats of arms. Unless otherwise specified they should be shown as eagle’s wings, with a realistic appearance. They can appear singly or in pairs, in which form they are very often found in the crest, which rests above the shield in a full achievement of arms. Wade, quoting Quillim, suggests that the use of the wing on the shield signifies “celerity and protection or covering”.